The Fluid System division of Rotork Australia introduces a new free-to-rotate solenoid housing design from Bifold. The new design enables Bifold’s solenoid valve housing to freely rotate 360º, enabling easy cable layout and ease of connection wiring. The solenoid internals rotate with the housing to prevent cables being pulled out of the terminal block. The solenoid valve can now be mounted in any orientation to simplify and ease installation, along with the availability of a spacious enclosure for ease of wiring, which in turn saves space and installation time. 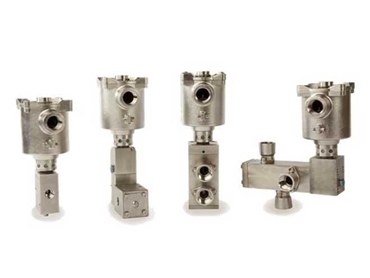 The new solenoid range includes solenoid valves for dry or moist air, gas and fluid control media that feature 316L stainless steel bodies, making the valve assembly one of the most universal types on the market. The new solenoid design incorporates an armature plate coil holder mechanism allowing the valve to operate in damp conditions and reducing the risk of corrosion to internal components. Conventional solenoid valve designs incorporate a solenoid core tube design that will only operate in dry air conditions. Commissioning and maintenance benefits of the FP Series solenoids include no time penalty for heat dissipation before removing the solenoid cover or requirement for special high temperature cables. Simple maintenance is enabled with removable transient suppression diode, coil and solenoid without the need to remove the solenoid valve from the tubing. Advantages also include an operating temperature range of -60ºC to +95ºC, worldwide approvals Ex d, Ex ia and Ex emb as well as a wide range of override options including auto reset, spring return manual override, stayput manual override, manual reset, tamperproof manual latch and latch energised. Safety and environmental benefits of the FP Series solenoid valve assemblies include SIL 3 third party certification to IEC 61508. FMEA and extensive qualification testing coupled with 100% computerised diagnostic test procedures ensure each valve assembly is proven along with confirmed safety factors.